Pressero's customizable retail store interface has launched many businesses into the exciting world of internet based print sales. Providing MIS and ERP integration capabilities opens up new opportunities as well. 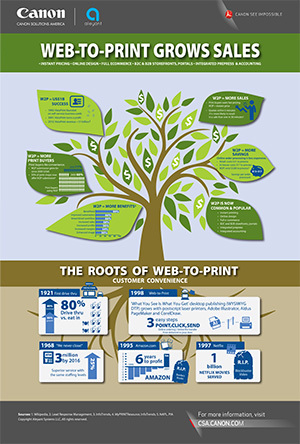 Uniquely positioned to serve the entire print service provider continuum, Pressero fits the needs of commercial printers, print distributers, and in-plants. Recipient of the 2013 InterTech Technology Award for Innovative Excellence, the Pressero storefront system has all the capabilities you expect from an award-winning, top-rated, web-to-print solution. The majority of print service providers will find that everything they need is already included in one or more of our cloud packages. The job status information your customer sees. Instead of using our generic job status list, create your own job status workflows for specific products to match the unique needs of your production workflow. Track inventory levels of items sold both individually and grouped as part of a kit. Used when you want a customer's credit card payment to be done inside the store instead of using an external PayPal page. Required for Authorize.net, PayPal Pro, Payflow Pro, etc. Covers in-store credit card processing for a single Pressero store. Includes SSL (security) certificate and setup. Free “how to” videos, FAQs, searchable Knowledge Base, and written documentation. Access to support staff is free, provided the 1-on-1 Training (below) has been completed. Each Pressero Bundle includes a series of individualized training sessions focused on your company when you purchase a qualified Pressero Solution. Experts will help guide you through the basics of setting up a store and an eDocBuilder template. Number of sessions and their duration may vary with Pressero plan. Automated Workflow Integrator: basic setup, order filtering rules – 60 minutes – only included with Enterprise and Enterprise + plans. When using the Admin area, we recommend using Chrome or Firefox. These browsers respond faster than Safari or Internet Explorer. Firefox works best for the Report Writer found under the Tools menu. See the latest update to Aleyant's cloud-based web--to-print, job management and workflow automation solution. This unnarrated video shows the capabilities of eDocBuilder, Aleyant’s on-line Personalized Communications tool included with every Pressero Subscription from Canon Solutions America. Make personalized products from business cards to stationary to fully customized print pieces available to your customers, 24/7, from any device, PC, tablet or Smartphone. This unnarrated video show the range of capabilities of Pressero, Aleyant’s cloud based web-to-print solution. B2B Storefronts, Responsive Design and Administration, Professional B2C sites, real time pricing and shipping and tax rate integration are all yours with Pressero, plus so much more. This unnarrated explanimation takes on the concept of responsive design, and shows you why you should demand it from your web-to-print solution, today! This narrated video walks you through the benefits of private B2B storefronts with Pressero. In just over ten minutes, learn how B2B storefronts can benefit your organization. Successful commercial printers can drive more volume with fewer touches, directly from a client’s smartphone to their doorstep with Aleyant's cloud-based ecommerce platform, Pressero. See how Rick Herr improved his digital operations at Colonial Printing by introducing private storefronts for his regular clients, improving the productivity of his print floor and freeing up more hours in the day for his sales teams to sell. Pressero is a Win-Win for this commercial printer and his clients. Fenway Group, a comprehensive communications company in Boston, MA, utilizes Pressero to provide B2B storefronts to a wide variety of their customers, including non-profit, direct mail, healthcare and financial services organizations. 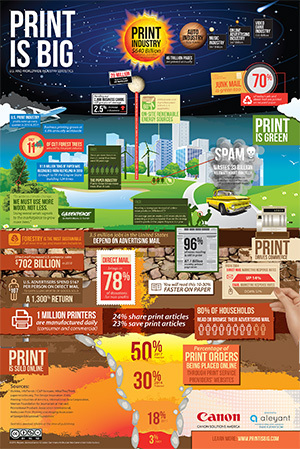 With private B2B storefronts, customers have a safe, secure and convenient way to order printing, 24/7. Pressero, from Aleyant, offers complete web-to-print portals that best serve the needs of both Fenway's customers, and Fenway's internal production requirements, all at a price that is hard to match.